Gorgeous Landmark Foursquare mansion in East Lake View, designed by noted Chicago architect Frederic W. Perkins. Originally occupied in 1905 by Daniel O. Hill and from 1952 till present home of Serbian cultural organization. Exquisite woodwork throughout, 12 ceilings, preserved quality and charm from the turn of the century. Everything in this home is mostly original with the exception of a third story ball room being converted to a theater and basement known as Cave having characteristics of a night club.Coach house needs extensive work. Notice the Lot Size. The Square Footage includes the Basement.Sold AS IS! Check additional information link for floor plan. Average monthly electric $270. and gas $372. 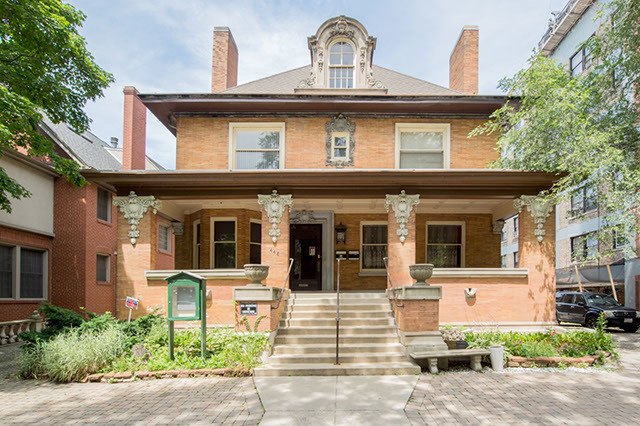 Please, send me more information on this property: MLS# 09483444 – $3,350,000 – 448 West Barry Avenue, Chicago, IL 60657. I would like to schedule a showing appointment for this property: MLS# 09483444 – $3,350,000 – 448 West Barry Avenue, Chicago, IL 60657.